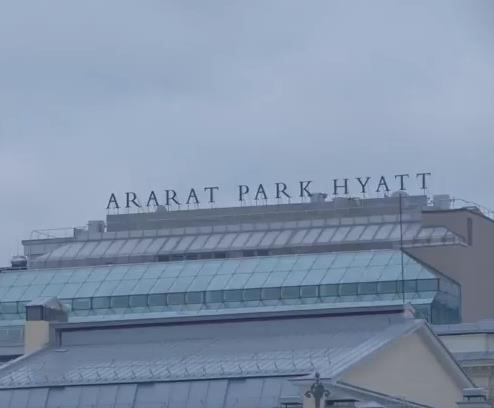 We'd like to share with you a perceptive video commissioned by Russian retailer Tochka Opory. The video pokes fun at stereotypes and how Russia appears to foreign visitors. Based in Moscow, my company provides a complete range of production support services for video and photography throughout Russia. We pride ourselves on being creative problem solvers and good hosts for our international clients. With over 20 years of experience, we’ll fanatically support your project from pre-production until you depart Russia with the footage safely stowed in your carry-on. And because we have personal experience working in major production centers like Los Angeles and South Africa, we've developed an efficient, results-oriented working style that matches yours. Please contact me to learn how we can make your upcoming production in this part of the world a smooth and successful experience. Be sure to scroll down and read comments from our clients. Your efforts made seemingly impossible things possible. The crew was so good, we wanted to take them back to Los Angeles with us. All quotes are verbatim. Contact information for any of our clients is available on request. The crew was wonderful. Very professional, good skilled, and just all around pleasant. We have a very good experience in Moscow. Thanks! Crew and services were	great! Thanks to your effords everything worked out really well inpite	of time	presure	and	numeoruse changes. Hope	working	with you again soon. Masha's service was brilliant – on time, patient, prepared and professional. We had a very productive shoot and the submarine was fantastic! Thanks again for all your production help! Masha, it was great. And you were awesome. You will definitely be credited, as will your team. Thank you for all of your efforts and work throughout our shoot in Moscow.We loved the city and captured some incredible footage for our documentary. We appreciate everything you and your team did for us to go above and beyond! A real pleasure to work with, we enjoyed it very much. Thanks to Masha Rachko Production team. The footage looks excellent! Really appreciate it. If other video shoots in Russia arise, we will let you know. The shoot went very well. Crew were fantastic to work with. Thank you so much. I want the world to know that we at M ss ng P eces worked with Masha Rachko Productions on an Adidas project shot for the 72 & Sunny Advertising Agency in Moscow, Russia. Masha's team did an excellent job of seamlessly switching gears and scouting and organizing our Production in Moscow. Both the client and the Agency were very happy with the results, and with Masha and her team. Masha’s team is very professional, and I highly recommend using her company for any commercial filming in Russia. We are so happy to have you and your staff working on the project with us! Things have been going great and Moscow, as you promised, is indeed wonderful. We had a COMPLETELY fantastic time in Moscow -- I honestly can't wait to come back -- thanks so much! Thanks so much for such great days and all your efforts and work. We really appreciate it. I'm really happy with how much you have helped us on this fast and challenging shoot. Maria Rachko provides excellent production services for any film and TV project inside the Russian Federation. Her team, knowledge, and access are second to none. She takes great care in attending to the needs of foreign companies and always goes the extra mile to make sure every detail is thought of to ensure successful productions. You will not go wrong making Maria Rachko part of your production, she makes magic happen! It was a genuine please to work with you, and I hope to see you again. Thanks for your hard work! Everyone was very pleased indeed with the crew and the location and the services provided. Everybody went above and beyond the call of duty on this shoot. Thank you so much for your help — the shoot went really well and everyone is really happy. Maria Rachko provides an honest, reliable and efficient production service, ensuring that the process from visa applications right through to post-shoot reconciliation runs as smoothly as possible. Maria understands the need for professional English-speaking technicians and makes every effort to source them. I just wanted to say a very big thank you for all the time, effort and understanding you brought to the Nokia shoot. It wasn't easy, the demands of the job snowballed and the resources stayed exactly the same. The cut wouldn't have looked like anything at all if you and your team(s) hadn't made such an amazing effort and managed to be charming and good-natured all the while. Maria, thanks for the extraordinary service over the past few days. Although you and your people worked with us on past shoots, you were especially crucial on the last one. Your efforts made seemingly impossible things possible. The crew was so good we wanted to take them back to Los Angeles with us. I'm not sure when I’ll return to Russia, but you will be the first person I contact. Thank you so much for looking after Paul and crew whilst they were in Moscow. The shoot was a success and Paul really enjoyed working with you guys. It was a fantastic shoot. Thank you and your crew for all your help. Moscow sounds like such fascinating place to visit. We had a great time in Moscow and I really enjoyed working with you. Everything went smoothly and even at the last minute we could arrange things. You were always there to help us and it made things a lot easier. Thank you for the three months we worked together. It was a difficult program with lot of changes and we were happy that we could make those changes. A fantastic crew and equipment you assembled. It was such a wonderful experience to work at such a distant frontier with so much history and have everything we wanted to work and go as smoothly as it did. In my life's journey I do wish I would have the opportunity to return, if not I will always put in a good word for you to handle anything for any future productions. A big Russian THANK YOU to all of you for your contribution in Moscow to the Transformers 3 "global junket." The movie opened today with the biggest box office opening of 2011. So I feel like we all did our job helping to get the TF3 word out there. It was a lot of hard work but I think overall a great success. Thanks for making it a great show!! In my opinion, from the moment I contacted you I have experienced very professional yet flexible attitudes and insights regarding my requests. I must also compliment the selection of crew, and the crew themselves which were very hard-working, experienced people with a pleasant way of interacting. Cameraman was very resourceful in providing me just the right footage, when my insight at the end of the day was not as sharp anymore. I would like to emphasize the equipment selection was exactly what I am used to working with, a high-end camera which fit the production completely in the matter of image quality. Thank you again for your professionalism, your quick response and involvement. I’m looking forward to us meeting and cooperating again soon! It was pleasure working with you and your crew. Looking forward to the future challenges. You made it clear that working in Russia (at least in Moscow) is not only possible but also pleasant. Best wishes + Kind regards. Thanks again for all your help and I will happily recommend your services to anyone looking for help with Russian production services. Our reputation as a global agency is only as good as our work. So we aim high and work only with the best. Thanks to Marsha and her team, our client was extremely impressed and told us that the end result exceeded all their expectations. None of this could have happened without all your hard work, enthusiasm and dedication. Not to mention professionalism. We can't thank you enough - WELL DONE! Thank you for your incredible footage and for making such a wonderful and memorable film. I'm really pleased that the filming went well, depsite the room you were given - thank you so much for making it look as good as possible and for arranging everything your end. We have just got around to looking at the interviews that you shot and they are fine. Thanks very much. Thank you so much for saving us today, I have told to our "key players" in this series about the value you bring to us. I dont know what we would have done without you." I have never worked with a more competent, reliable person than Maria. Maria was great, very professional, took care of everything and got us out of some very tough jams. She worked on the series "MonsterQuest" for me, got us out of many troubles, worked hard, extremely resourceful, pleasant to work with, what can I say?, hire her. You’re lucky you found her. An excellent service. Next time we're in Moscow we will definitely use your expertise again. Thank you for all your help in Russia, much appreciated. Just a few words about Maria. She was head of TV Production at Ogilvy Moscow while I was ECD of that agency. I was impressed by her no-nonsense approach, her forward thinking and her realistic frame of mind when she handled projects. All of which comes from the fact that she has many years of experience. Quite what is the nature of what you may be asking her to do I have no idea but whatever it is I'm sure she will handle it well, given her attention to detail. As a final testament I have since started my own agency here in Moscow - Umbrella - and it is to Maria that I turn when we have a TV commercial to produce. We loved sharing the experience of shooting the REWE Group corporate film with you. The client really likes video and is absolutely satisfied with the result. Concerning your work everything went well. Thanks for all ! If clients talk to you they will know you are honest. We appreciated how easy you made navigating the city for us. The studio was perfect, the production went smoothly and we greatly appreciated the approach that you took with us. We felt as though we left Moscow understanding the city better because you were with us and showed us the beauty and the soul of the city. We enjoyed your company as well as your production skills and I would highly recommend you to anyone heading to Moscow and working there. 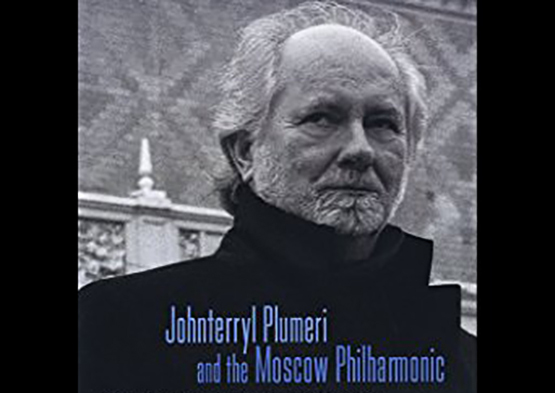 "International Fellowship of Christians and Jews"
I am a very proud partner and friend of Johnterryl Plumeri (Terri Plumeri) for whom I organized and supervised numerous sound recordings and two concerts in cooperation with Moscow Philharmonic Orchestra. This long-term creative collaboration resulted in great collection of musical recordings for motion picture scores, classical music and Terry Plumeri’s wonderful compositions. His extensive work with the Moscow Philharmonic was documented in a series of concert DVDs as well as recordings of the bassist conducting Tchaikovsky’s 4th, 5th, and 6th Symphonies.